This article is about a professional golf player from Australia who has been in Top 50 of the Official World Golf Ranking. Here is provided the profile, biography and statistics of this player who has total of 23 professional wins. Craig Parry is a Australian professional golf player. Born in Sunshine, Victoria on 12 January, 1966. He started playing professional golf in 1985. His first professional win at any golf tournament came at New South Wales Open in 1987. The same year he also won Victoria Open. 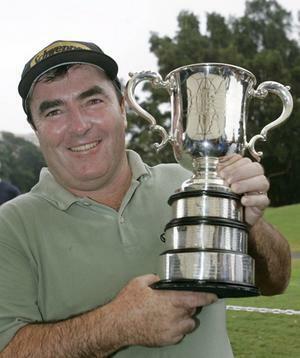 Craig has been the part of Australian National golf team in Presidents Cup in 1994, 1996 and 1998. From year 1992 to 2006, Craig played on the PGA Tour and he won two tournaments on the Tour. First in 2002 WGC-NEC Invitational and 2004 Ford Championship. In the same period, he won many tournaments on PGA Tour of Australasia. Craig Parry has performed well in major championships specially in 1993 U.S. Open, where he was tied at 3rd position. At The Open Championship 1999, he was tied at 4th position. He was also reached to the Top 50 of the Official World Golf Ranking.